Welcome to The Pedal File’s New Home!! Hey there, how’s it going? You’re looking nice today. I’d like to welcome you to the new official home of The Pedal File. This will now be the place where I can talk about pedals and whatever the hell else I feel like…mostly pedals though. 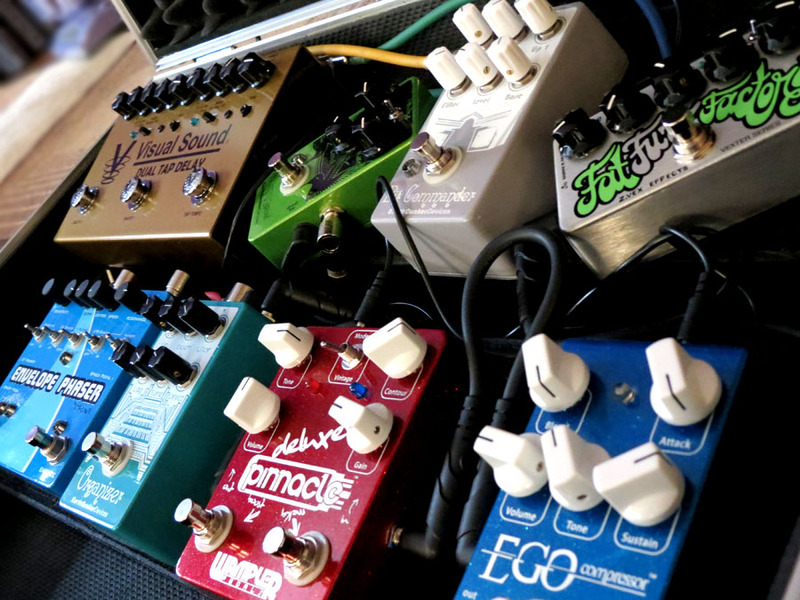 New features of my blog include a gallery where I’ll post photos of my pedalboard(s), new pedal acquistions, trips to cool guitar shops, and other pedal-related antics. I also added a video/sound gallery for my pedal demos and where you can listen to my music. This site is a work in progress so please comment and let me know what you think. Please also let me know if there’s a pedal you’d like to see demonstrated in a future post. Oh, and if you’re here because you think this is a page about bicycles, get a real hobby, like playing with effects pedals!!! I’m just kidding, bikes are cool too. Pedals are cooler though. Just sayin’.